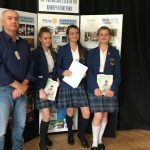 The finals of the Rotary Club’s Young Chefs competition took place on Thursday 14th June. All dishes were of a very high standard and all the Saint Nicholas teams produced dishes that looked delicious. 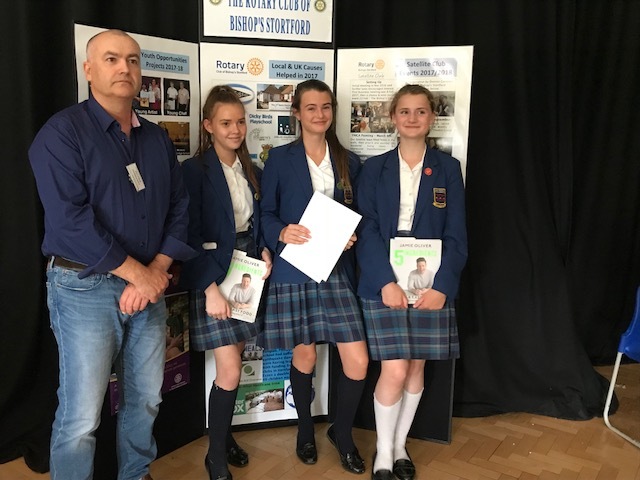 Congratulations to the junior section winning team, made up of Year 8 pupils, Eve, Kiki and Daisy, who cooked up a fantastic menu of fresh water prawns for starter, rack of spring lamb for the main course and fruits of the forest pavlova for the dessert. The winning team are pictured here with one of the judges, Luke Fishpool, who is the owner chef of the Lemon Tree restaurant in Bishops Stortford.